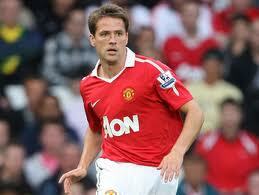 Michael Owen has signed a one year extension to his contract at Manchester United and will remain at the club for another season as they look to reach 20 league titles. The striker, who scored United’s final goal of the Premier League season in their 4-2 home win over relegated Blackpool, has only managed 16 appearances this season in all competitions, contributing 5 goals. Despite spending the season behind Wayne Rooney, Javier Hernandez and Dimitar Berbatov in the United strike force, Sir Alex Ferguson has been impressed enough with Owen through the season to keep him on at the Premier League champions. On his twitter account, Owen stated that he was “Delighted to be staying for another year” and now that 31 year old former Liverpool forward is confirmed to be remaining with the team, doubts are now cast over the future of Berbatov, the clubs top goal scorer in the last season. The Bulgarian managed 21 goals during the 2010-2011 campaign despite falling out of favour in the second half of the season as Rooney and Hernandez developed a strong partnership up top for Ferguson’s side. Owen was included amongst the substitutes during the recent 3-1 defeat to Barcelona in the Champions League final ahead of Berbatov who was left out of the final squad and the Bulgarian told Sky Sports that he felt “ashamed” about being left on the sidelines for the game and he watched the match on a monitor in the United dressing room. Berbatov stated that he would like to stay with the club, “I will fight for the 20th title.” However, with him seemingly now falling behind Owen as well as Rooney and Hernandez in Ferguson’s plans, there will be a number of rumours surrounding potential moves away from Old Trafford coming out in the next few days and there will likely be many clubs both in the Premier League and across Europe alerted to the potential availability of the Premier League’s joint top scorer.